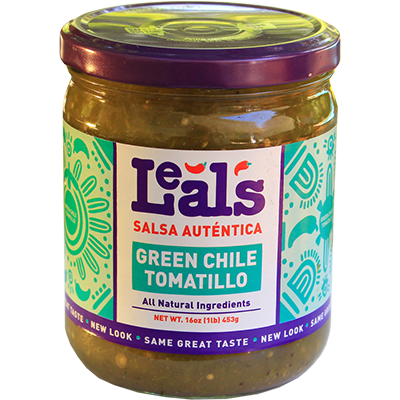 Our Green Chile Tomatillo “Salsa Verde” has a smooth blend of green chilies, tomatillos, roasted poblano peppers, habanero peppers, and a perfect touch of spices with a hint of lime. 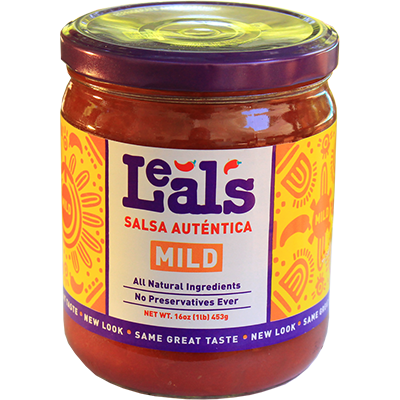 This salsa verde is fantastic for any setting – served over enchiladas, with burritos, migas, or, of course, as a dip with tortilla chips or pita chips. 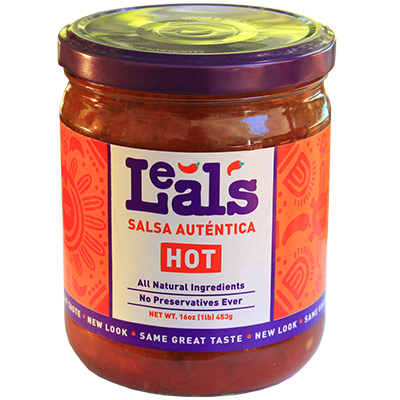 It is a delicious salsa and perfect for any occasion. 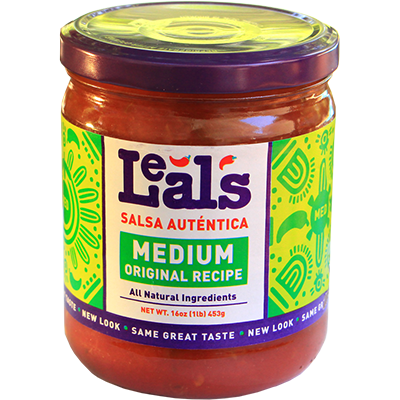 For more great salsas and dips, try Leal’s Classic Salsas, Leal’s Original Frijole Dip and Leal’s Creamy Verde Salsa.